Left click on each link logo to access websites. After left click on logo to reach LOC site, then click on "Articles and Essays". On "Articles and Essays" page near bottom is "Video Directory". 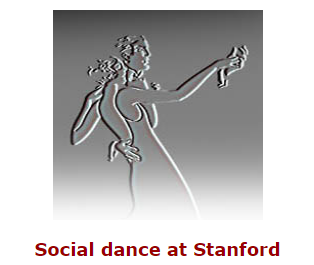 Click on "Video Directory" to access 75 videos of dances from the 19th Century. Wonderful resource !! Victoriana Magazine covers the traditions of an earlier period. 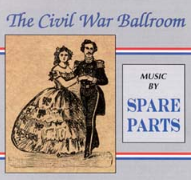 Click on "The Civil War Ballroom" CD to see description and sample music selections. WNED / WBFO is the finest of public television offering many dramas and documentaries from the Georgian, Rgency, Victorian and Edwardian eras such as "Downton Abbey". Listen to the theme song of "Downton Abbey" by clicking on the accompanying audio clip while reviewing the WNED / WBFO website. Check out Troupe doing the Spanish Waltz on embedded YouTube video on Goucher webpage.
" 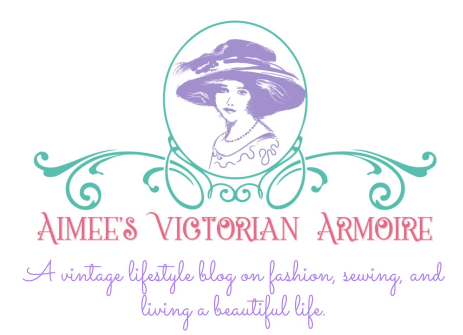 Capering & Kickery " is a vintage dance blog. 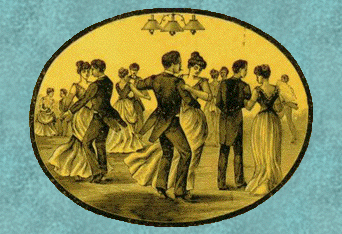 Numerous Victorian dance detailed descriptions available along with a variety of related resources ! Mass Historia is a vintage dance website with information on various eras of dance. 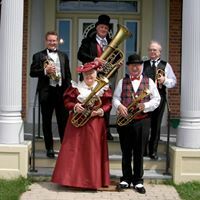 Samples of Victorian Music are available ! Our sister vintage dance organization ! We often perform one after each other at the Buffalo Niagara Heritage Village Scottish Festival. There are many similarities in the dances we do ! 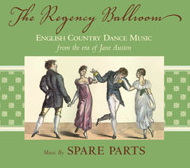 Another sister vintage dance organization.....There were often Contra Dances on Victorian Ball dance cards ! 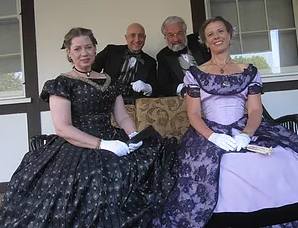 ( Formerly the Amherst Museum ) Civil War events. 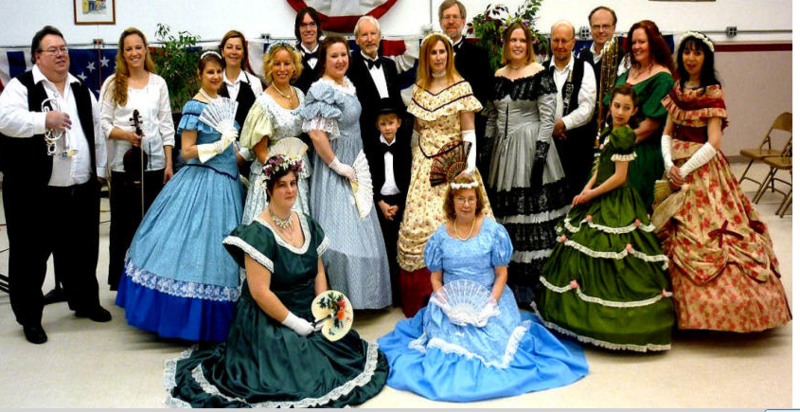 Below is a picture of our members at the 2008 155th Ball. Click on Grey logo for base website & picture for Vintage Dance Society Face Book page. 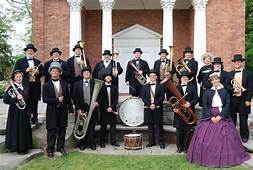 Click on logo for "The Victorian Quadrille Orchestra" to access their website. 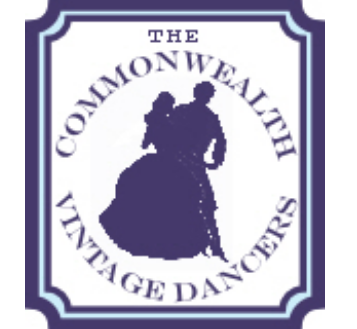 Has wide selections of Victorian dance videos and music ! of his music and video clips of dances done to his music which are familiar to Victorian dancers but with a Scottish flare !. 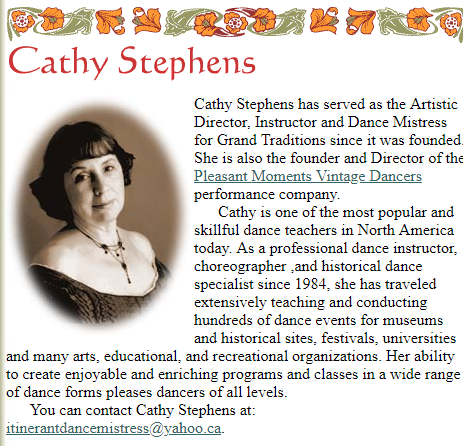 Click on "Dancetime Publications" for DVD's of Victorian et.al. eras of dance plus other dance history resources. 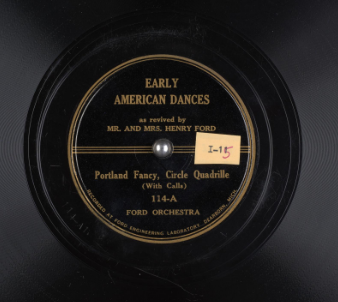 Henry Ford's Old Time Dance Orchestra Recordings - Click on picture to listen to copies of 78 records of a number of dance tunes.